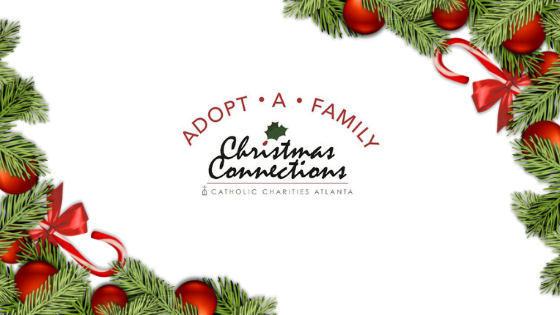 Adopt a Family for Christmas! This Knights of Columbus program partnered with Catholic Charities’ Christmas Connections ministry, is successfully supported by many volunteers and sponsors here at Saint Brigid, as well as other parishes in the area. At Saint Brigid, thanks to your enthusiastic generosity, we have consistently sponsored 400 families each year! All of these families have completed a need-based screening process administered by Catholic Charities. A special thanks to all of those parishioners who sponsor year after year! If you are new to our parish or have not been able to participate in years past, please consider taking part. It is an excellent opportunity for your family to reach out to a family in need and make an incredible difference in their lives this Christmas! If you would like to sponsor a 2 to 4 person family, please email Sharon Kinney: aafsmallfamilies@gmail.com. If you would like a family with 5 or more members, please email Matt McGee: aaflargefamilies@gmail.com. Once you contact us by email, we will respond with a wish list for the family, packing instructions, and a tax receipt. We ask that you provide 2-3 gifts per child and a food gift card to accommodate the entire family. All gifts should be dropped off to the Saint Brigid parking lot on THURSDAY, December 6th between 2 and 7 p.m. If any of your children need service hours, they can help load the trucks on drop off day, Thursday, December 6th. You may also join us on Saturday, Dec.8th to distribute gifts to the families at several Catholic Charities locations.